After many years of experience in the jewelry market, we realized that most Women become very attached to their jewelry and place a very high sentimental value on it, regardless of the materials that the piece is made of. Any piece of jewelry is a memory of a gift, a special person, an important time or occasion in your life or simply, the perfect accessory for your favorite dress. Normally your favorite jewelry is subjected to normal wear and tear, even if the cost of the item was $50.00 or $10,000.00, it is very disappointing when it breaks or malfunctions. 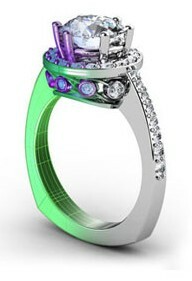 At this time your jewelry will need some repairs and adjustment or a complete restoration. It is possible to find a good repair jeweler in your neighborhood for some of your sizing, stone replacement and regular maintenance. Most repair jewelers are very limited, as to what they can do with vintage jewelry and most will not work on costume jewelry. 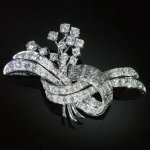 The main reason is that the techniques used to repair precious metal jewelry like platinum, gold, silver and gemstones are completely different from the variety of colorful but unpredictable materials used in costume jewelry manufacturing. 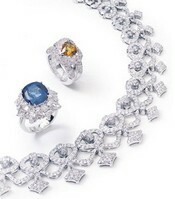 We have restored a wide variety of precious family heirlooms bringing them back to their original beauty. Restorations as simple as replacing a missing single cut diamond on a Victorian ring to as complex as rebuilding the under carriage of a large antique gemstone ring and re-polishing the main gemstone. All restoration projects are treated with the same care and attention to detail as the original craftsmen would have used. We only add modern techniques and state of the art Laser Technology to the old world craftsmanship. At RestoreJewelry.com we specialize in restorations, repairs and alterations of vintage and estate precious metal jewelry as well as costume and alternative jewelry, which includes: costume, faux , vintage, estate, imitation, resin, brass, copper ,bronze, gold, silver, platinum, rhinestones, gemstones, titanium, tungsten, stainless steel, palladium, pewter and aluminum jewelry.